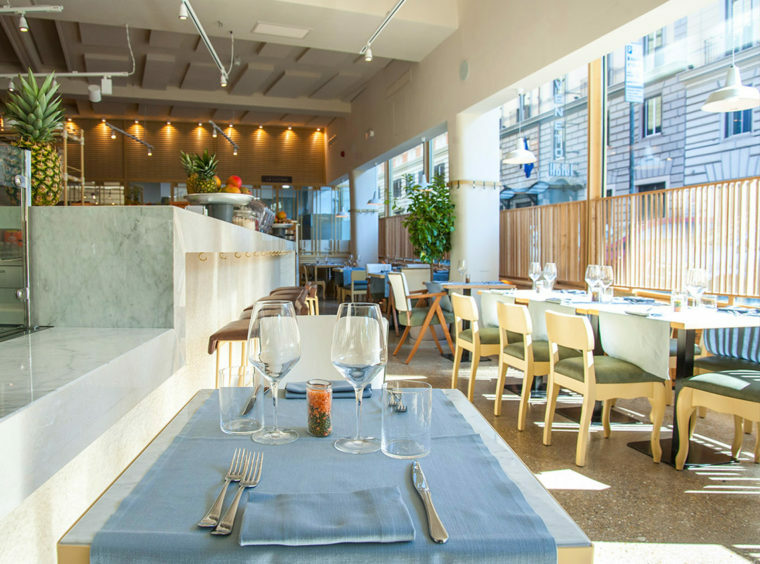 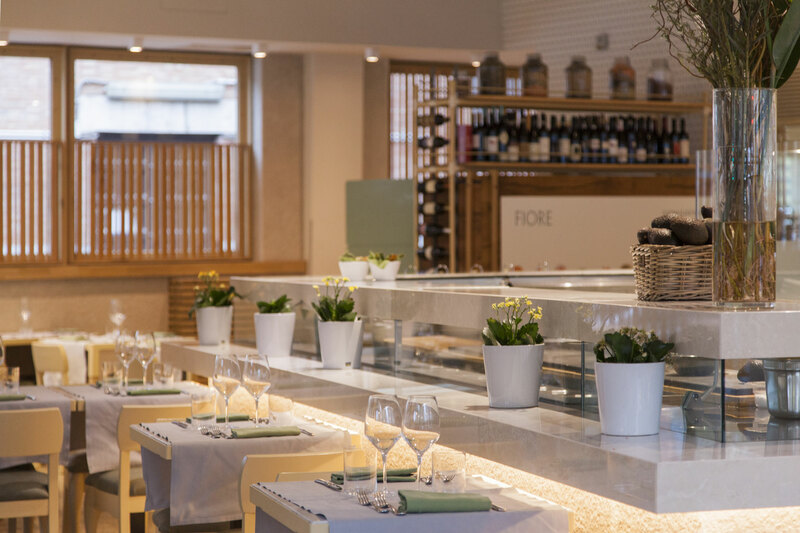 Fiore isn’t simply a space but a place full of personality, a place to embark on a completely new culinary journey. 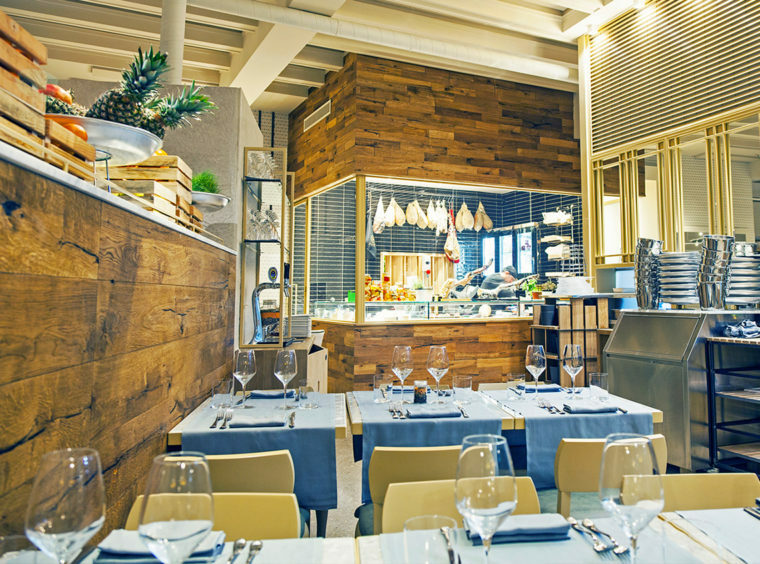 An open space where light enters through the floor-to-ceiling windows, playing with space and seducing the light wood of the design. 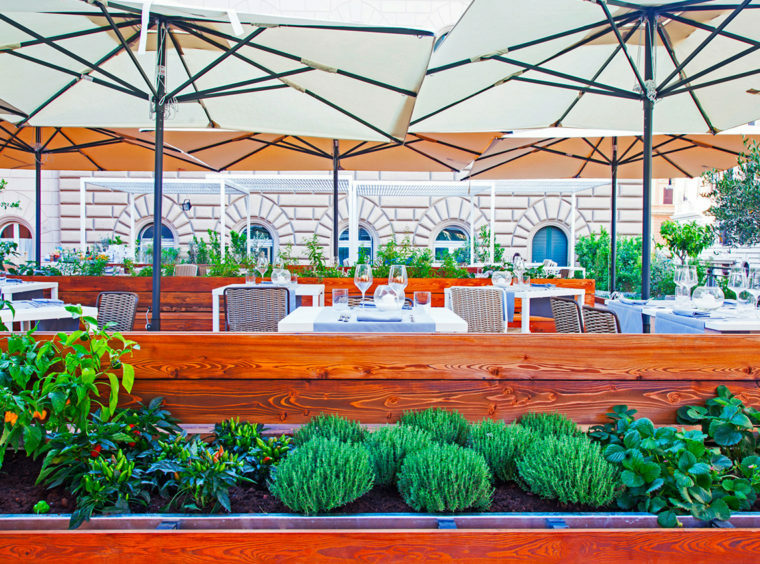 Plants, seeds, sprouts, colored legumes, fresh fruit and vegetables are both the raw materials used in the kitchen, ingredients used in dishes, but also “living” furniture of the venue, to never forget what we’re eating. Nature provides colors that have the power of light and well-being, and that don’t need filters. 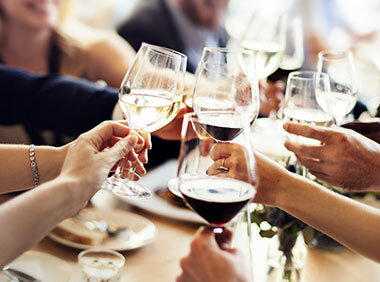 If you’re searching for privacy of intimacy, a room where you can meet guests and friends for lunch or dinner is what you need. 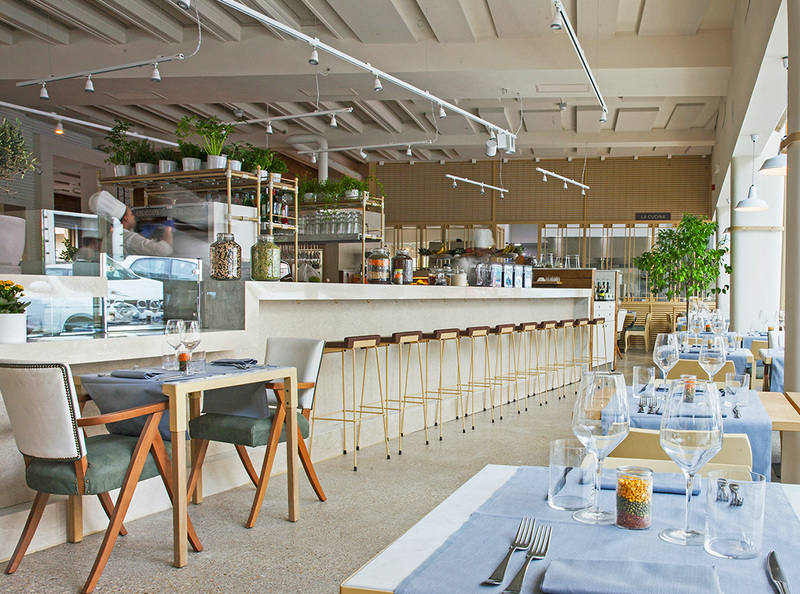 Hospitality and discretion and a space all to yourself. 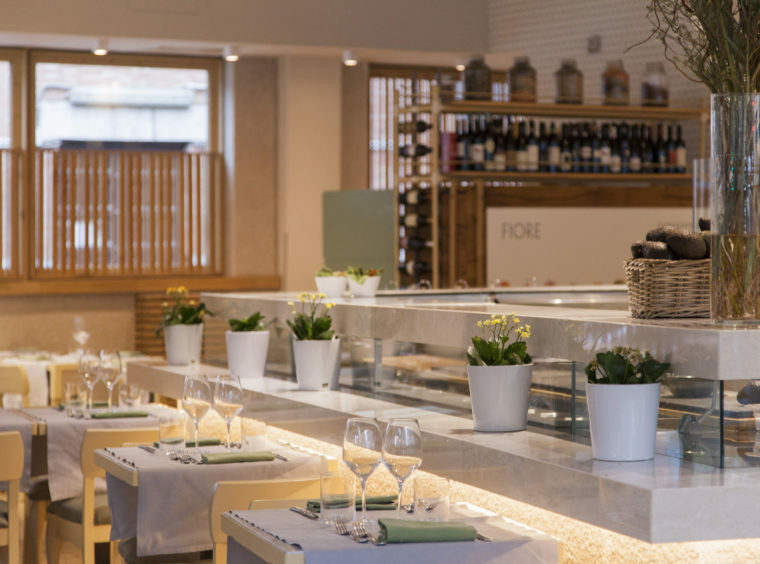 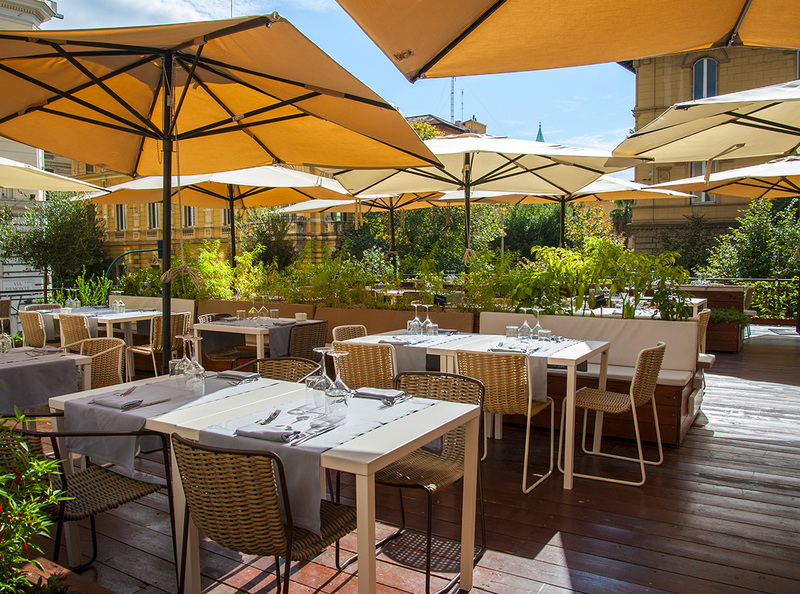 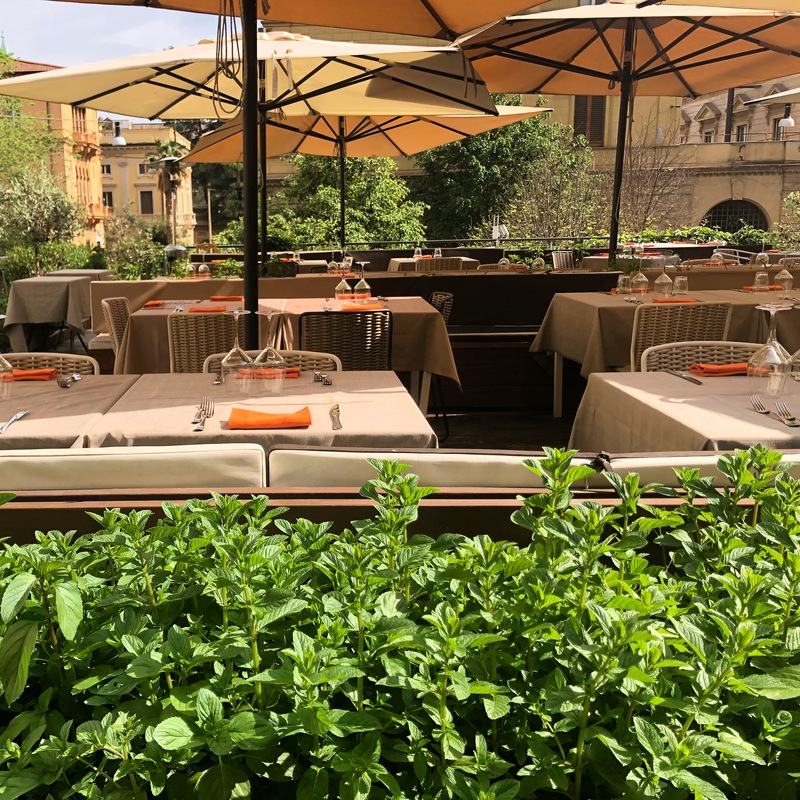 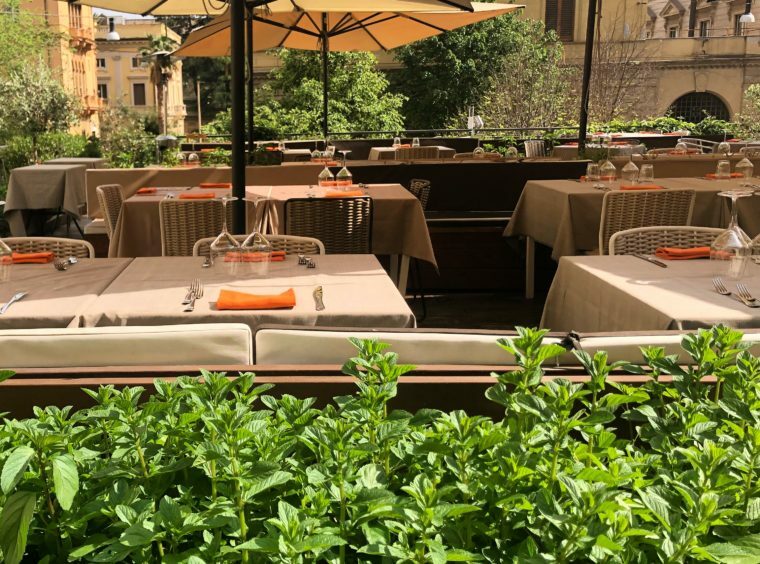 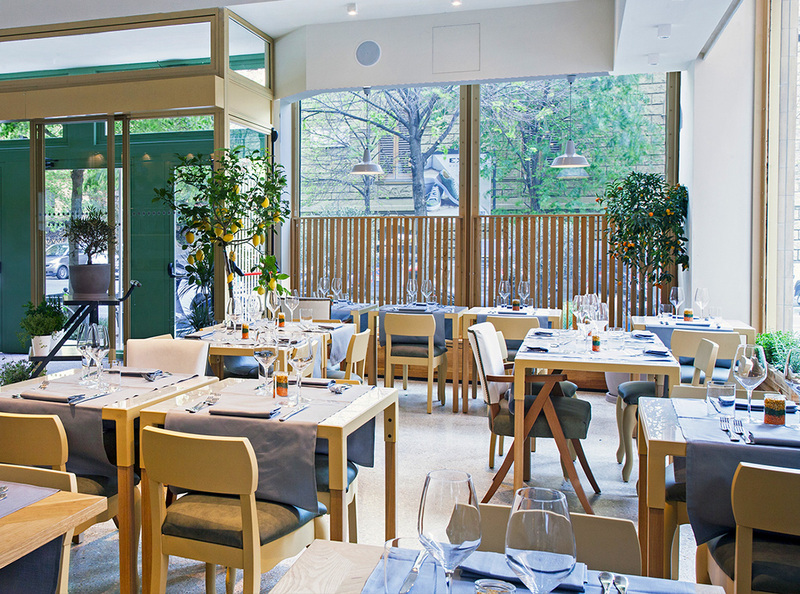 At the top floor, a large terrace makes Fiore one of Rome’s best restaurants for al fresco dining, surrounded by the light colors and aromas of the vegetable garden that welcomes all seasons with respect.